Guess What Just Arrived In the Mail? 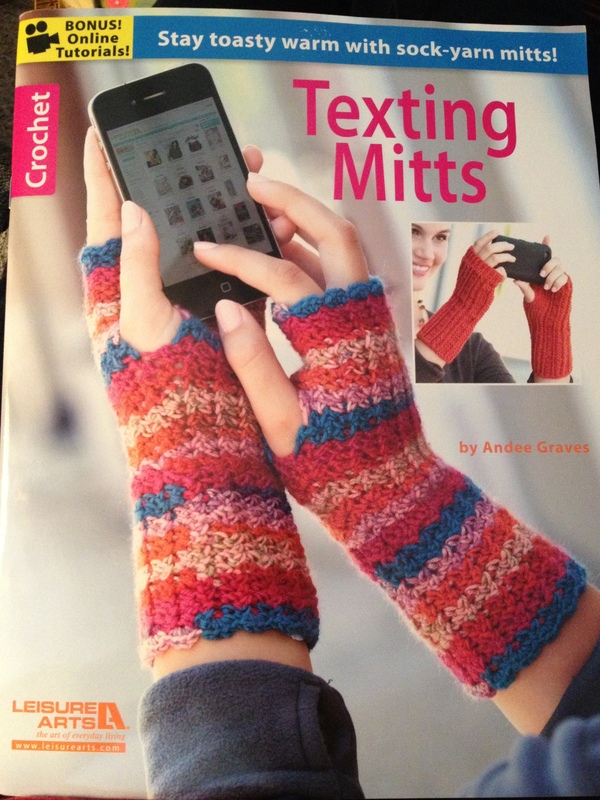 My copy of Texting Mitts by Andee Graves that I won! I can’t wait to pick out some yarn and get started on a pair. There’s a young lady in my house who turns 14 this month, and I want to make her a pair for her birthday! Hopefully I can get them done in time. I’ll share a picture when they’re finished. Follow Andee Graves’ blog, Mamas2Hands. This entry was posted in Crochet, Uncategorized and tagged andee graves, fingerless gloves, leisure arts, texting mitts.